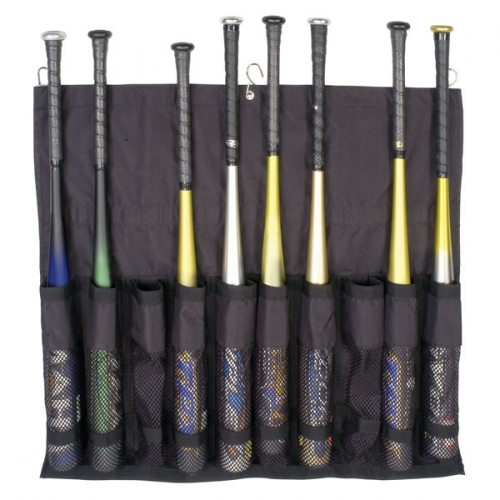 Easily hold, display, and organize your team bats with the Champion Sports Deluxe Hanging Team Bat Bag. This heavy-duty nylon bag attaches to a chain link fence, features a plastic sleeve insert for displaying your team name, and can hold up to ten bats. 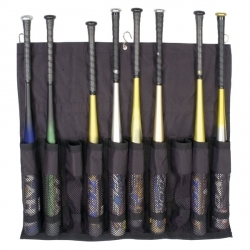 For extra convenience this bat bag rolls up and is secured by nylon straps, with a carrying handle for easy transport.